Credit cards offer many benefits as long as you don’t go over your credit limits. Here are some common mistakes Americans do that lead to mismanaged debts. Paying by credit card has many advantages. One is that transacting with an electronic card is safer than bringing heavy cash, especially when shopping. In cases where fraud is detected, the bank concerned and cybersecurity experts will rally behind the account holder to pin down the culprits. When the economy rises and falls, a credit card allows people to still buy their basic needs. Credit cards have also helped people put their lives back together quickly after a natural disaster such as explosions, tornadoes or hurricanes. These advantages, however, are easily drowned by disadvantages the moment people mismanage their debts. For this article, we’re not going to discuss the blatant overspending and splurging on expensive but unnecessary purchases. We’re also not going to blame the rising cost of living, the burden of student loans, unhidden bank charges, and discreet credit card interest rates. Here, we outlined the hardly noticeable mistakes Americans do with their credit cards. When ATM cards were introduced years ago, one of its strongest selling points was convenience. However, as people enjoy the expediency brought by the service, they have also become disconnected with the fact that those plastic cards actually store their real money. The advent of online banking, with practically all transaction, is done via computer and electronic gadgets seemed to make people forgetful that they are actually spending actual money for each of their transaction. “Electronic money does not register in the brain the way that real dollars do, and people will pay more for an item when using credit cards than when using cash,” explained Mary Gresham, an Atlanta based psychologist interviewed for a study published by CreditCards.com. “Many consumers don’t look carefully at their bills and the interest rate they are paying … it almost seems as though they cannot relate the numbers on the bills to actual money,” she added. The only moment credit card users became aware of the amount of money they spent or debts they incurred was when they exhausted their credit limits and their banks started calling them. Credit card users tend to intentionally not pay the full balance when the amount is due and instead just pay the interest incurred. A poll of 2,504 American adults conducted from Jan. 23 to 25 found that 56 percent of credit card users intentionally carry their balances for more than a year while 23 percent made their debts linger for three years. The rest of the respondents, or 14 percent, carried their balances for five years. 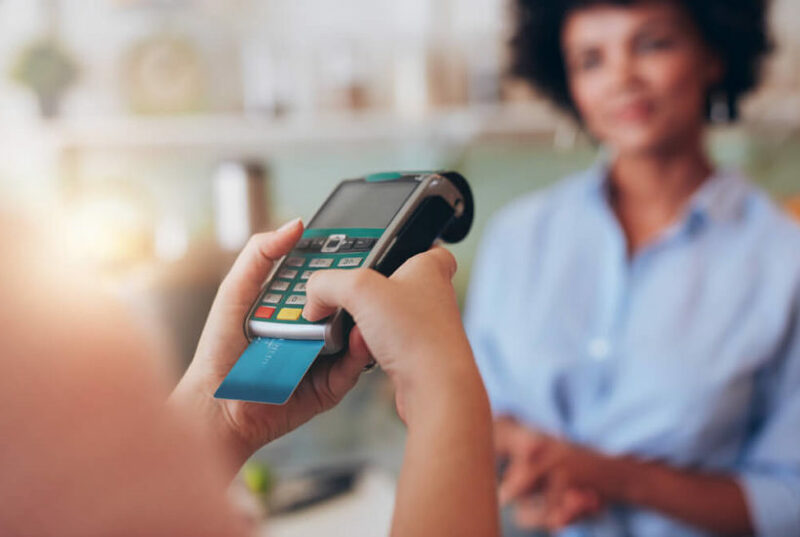 Separately, a study conducted by NerdWallets in December 2018 found that credit card balances carried from month to month reached to as much as $420 billion that year, up 5 percent compared to 2017. On average, one American household incurred an estimated $6,929 in revolving balances last year. Worse, 9 percent of Americans who have revolving credit card balances said they could no longer pay their credit card debts and that they won’t be freed from them anymore. While it was only logical to assume that people with lower incomes tend to have more debts, those with higher incomes are equally guilty as them, according to Gresham. In fact, the survey hinted that the latter group has more tendencies to acquire long-term debt. 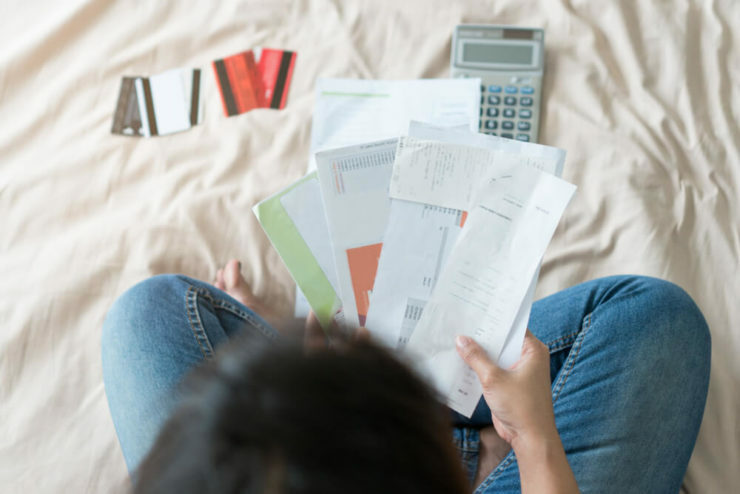 The poll from CreditCards.com found that 17 percent of those surveyed with a yearly income of $80,000 and higher are carrying their balances for at least five years. Lower-income people commonly use their credit cards for unexpected medical or school expenses. On the other hand, the higher-income group uses theirs for maintaining their lifestyle. “Often, people create false narratives in their minds that they will be able to manage their debt because they make a higher salary or salaries,” said Thomas Faupl, a marriage and family therapist interviewed for the survey. Essentially, many people have a false notion that they can spend more since they earn more. This dangerously leads to another one common mistake: living beyond their means. Faupl warned that long-term debt makes for an extremely stressful environment, most especially among married couples. Furthermore, stress rooted in debts may evolve to mental health issues, Faupl said. “Often, people make poor financial decisions or become paralyzed when they are under long-term financial stress,” he explained. The tendency of those people under extreme financial stress is to shut down and refused to seek help. There is also the danger of continuing to overspend since they already have low self-esteem, thinking they are far from being redeemed. Whenever you are tempted about carrying balances instead of paying on your due dates, think about your credit track record. Good credit history is a prerequisite for more important loans to get approved. Such is true for loans that can change your quality of living, say, for example, housing loans and educational loans. Perhaps of minor importance but equally convincing reason is that credit card companies offer rewards for good credit standing. The rewards may be in the form of airline miles or other similar perks. To that end, people should always think of their credit cards as a cushion for difficult times and not means to splurge on unnecessary.